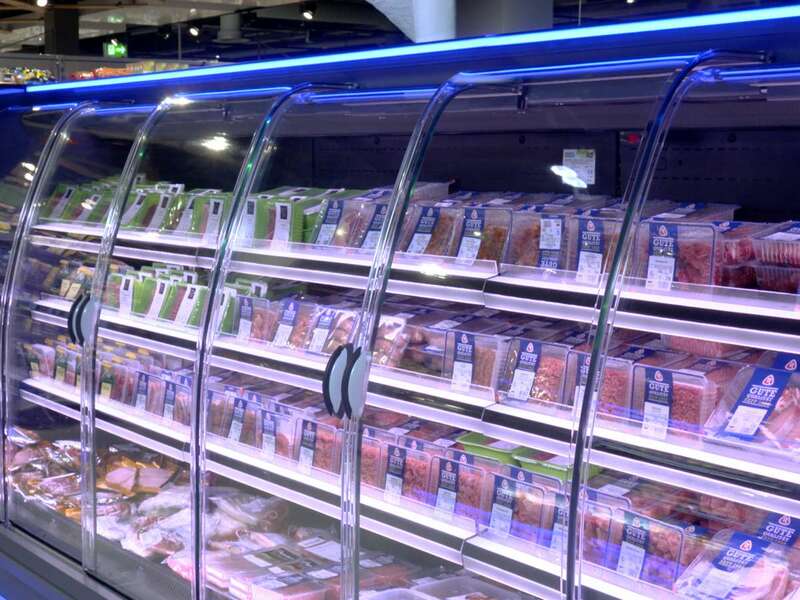 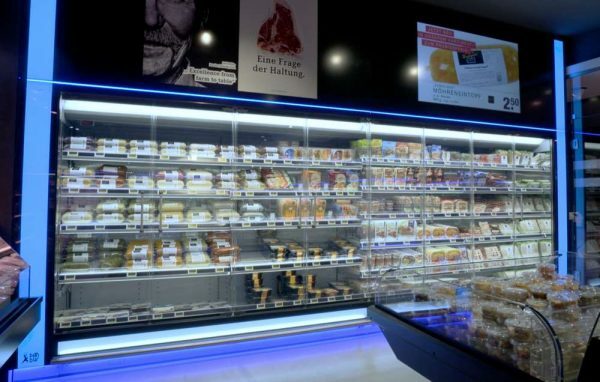 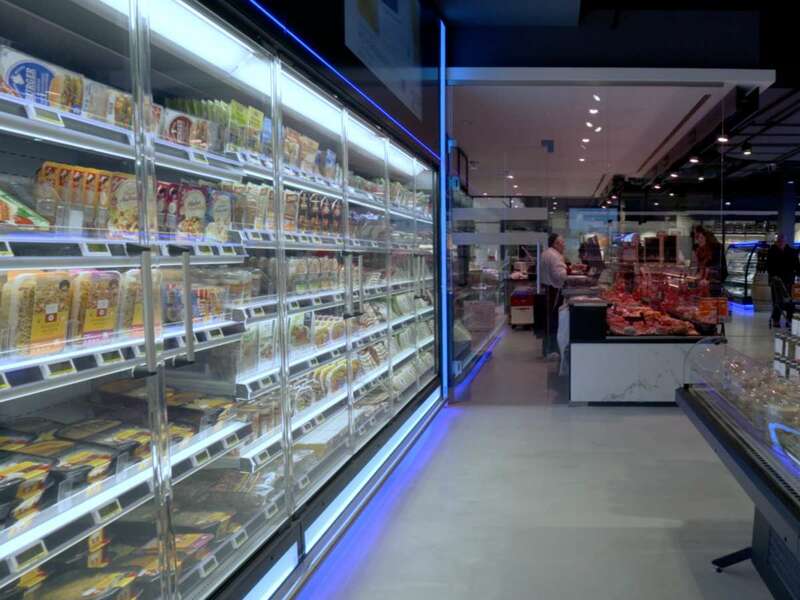 In the FrischeCenter Zurheide in Bottrop, a straight enclosure from PAN-DUR is used which has been individually tailored to this shop concept. 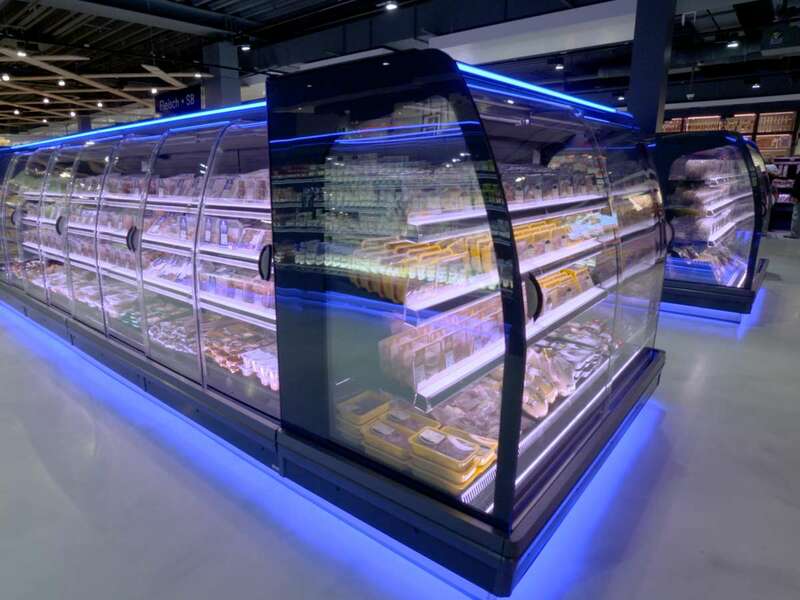 The PURE cool DOOR T insulating glass rotating doors without edged for wall multidecks with the transparency of single panes of glass ensure optimum merchandise presentation. 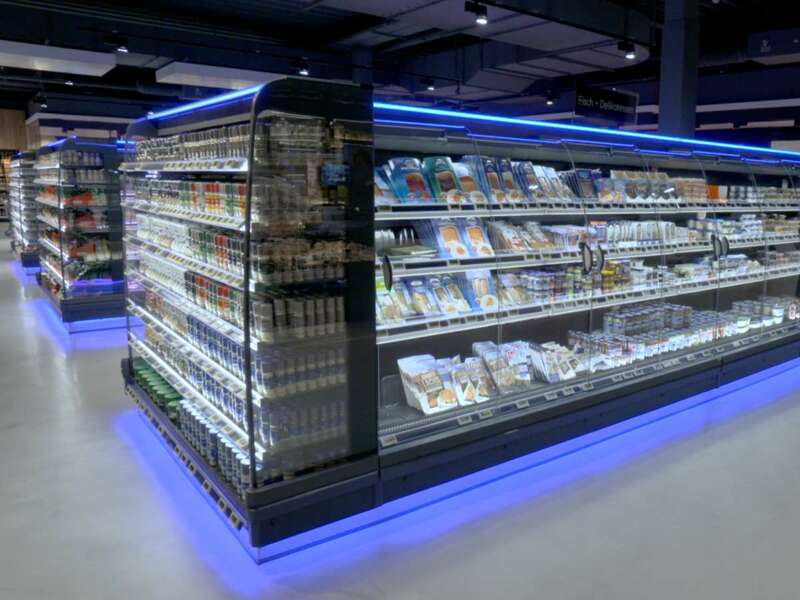 Screen displays and LEDs also ensure evocative promotion of sales. 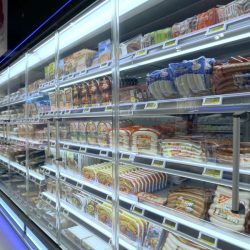 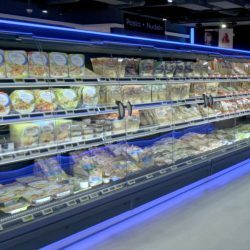 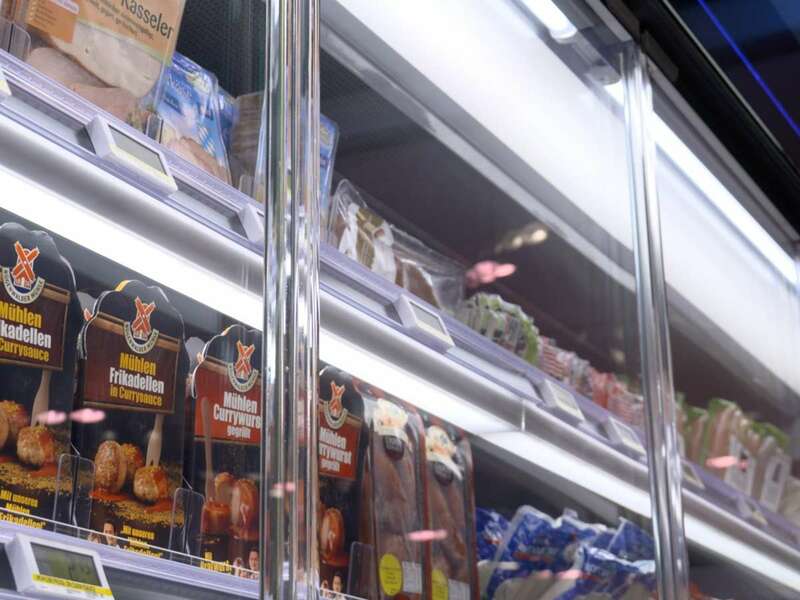 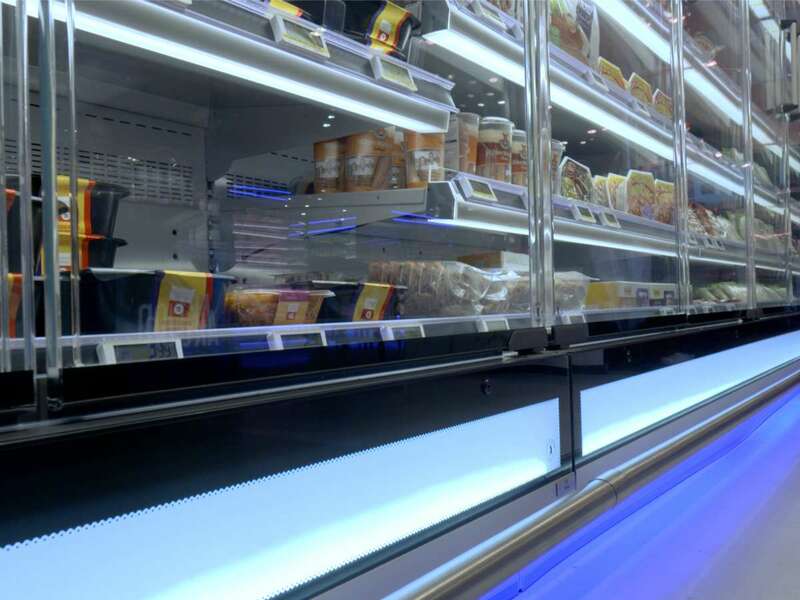 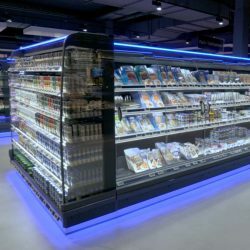 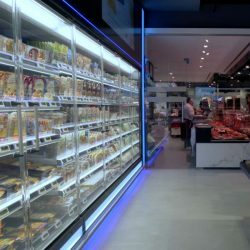 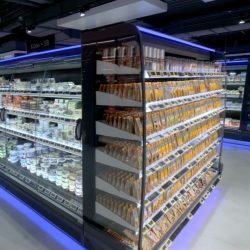 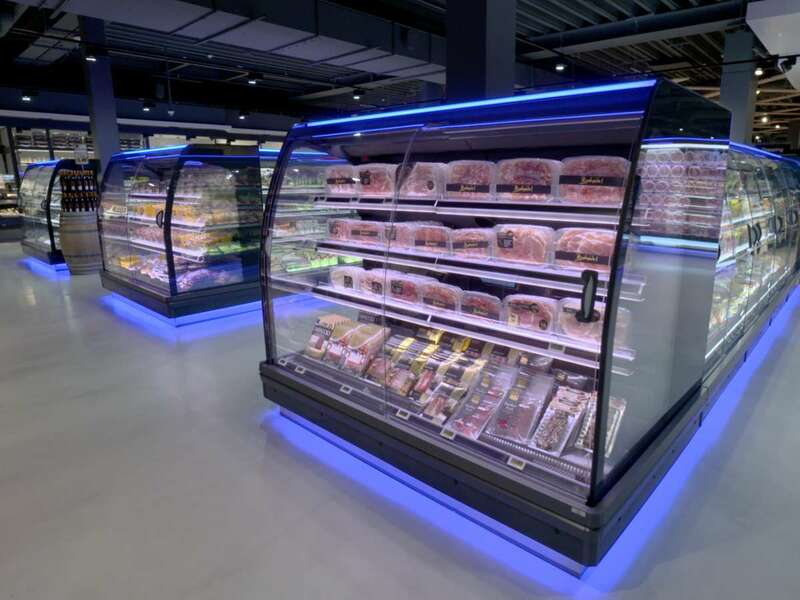 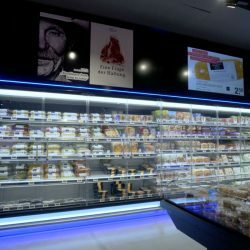 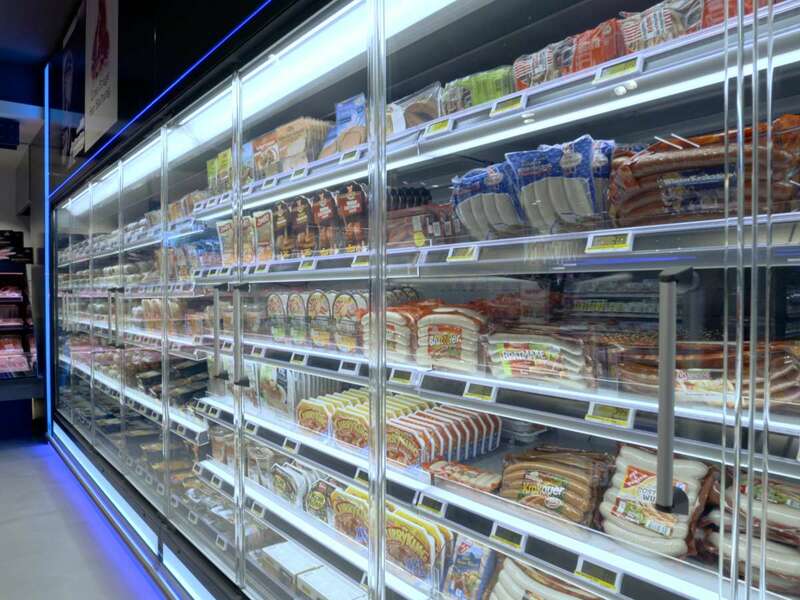 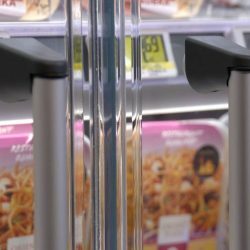 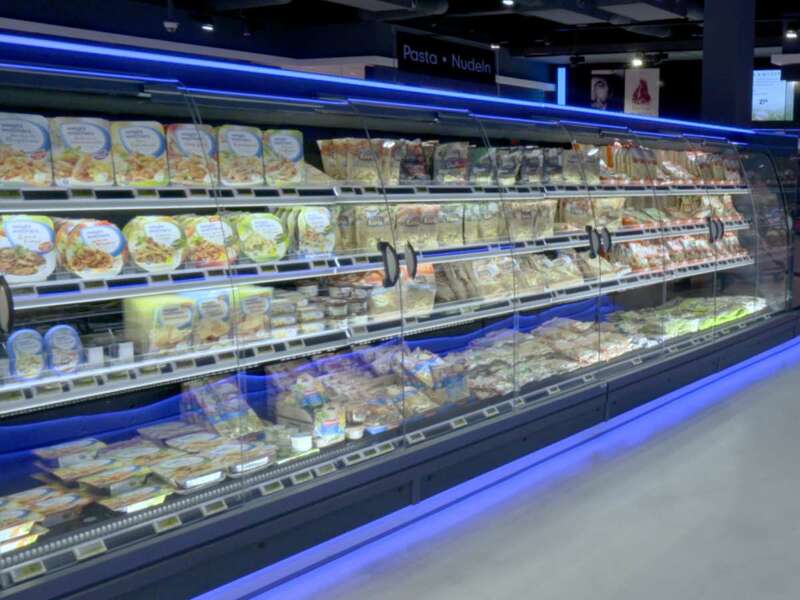 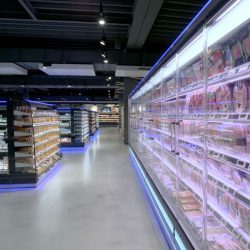 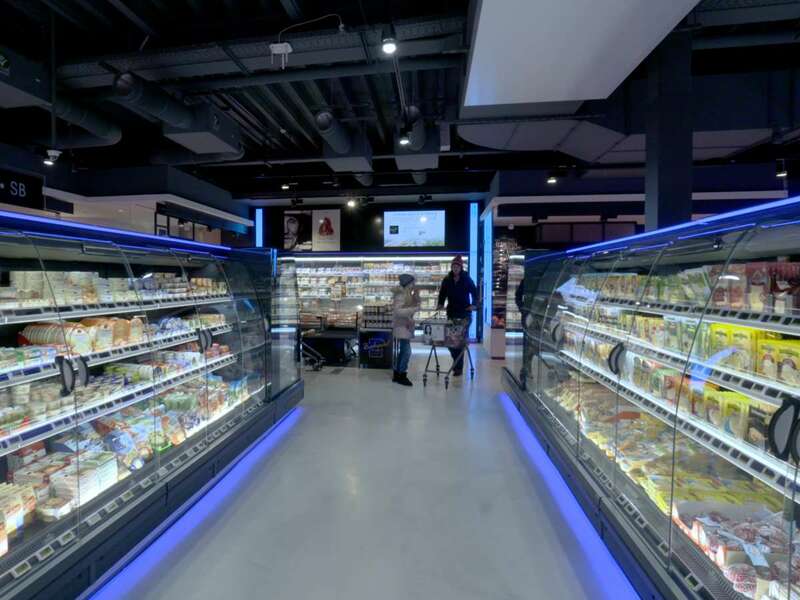 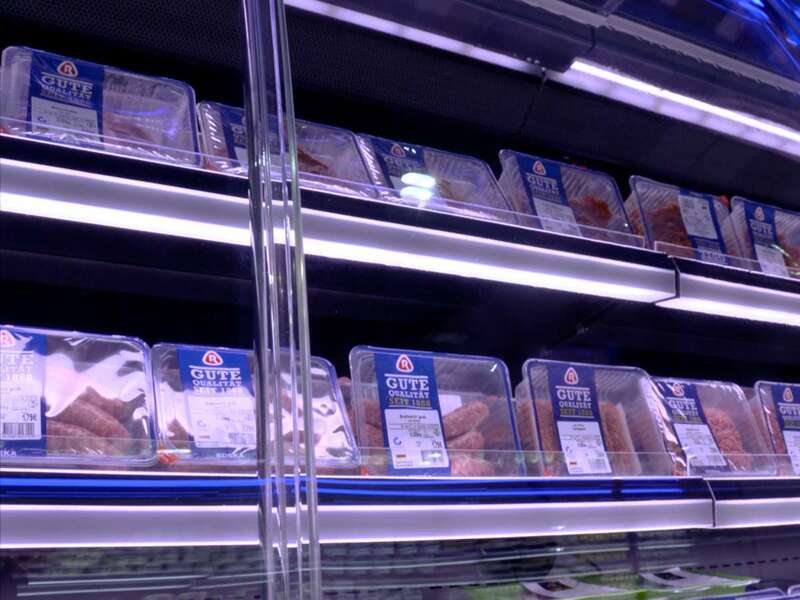 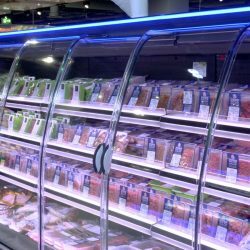 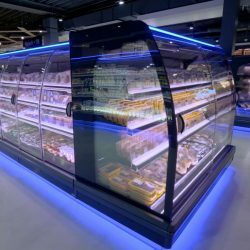 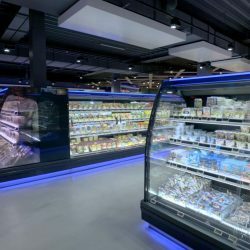 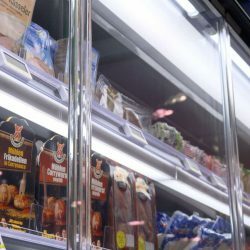 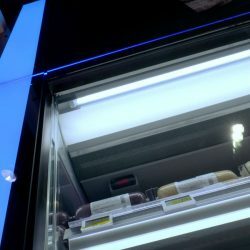 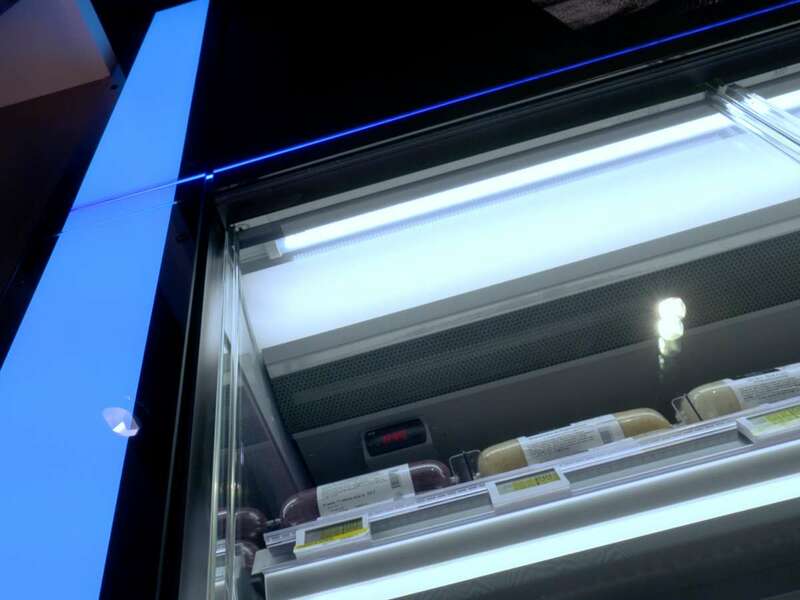 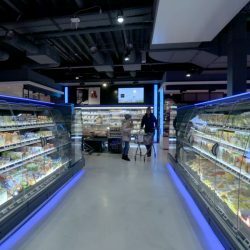 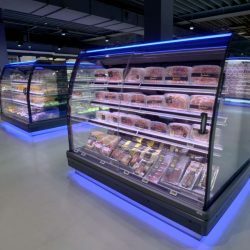 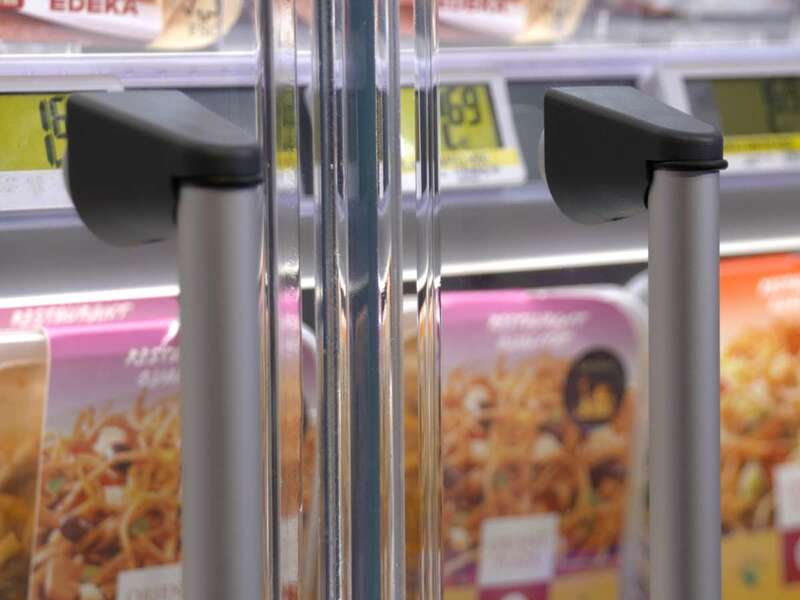 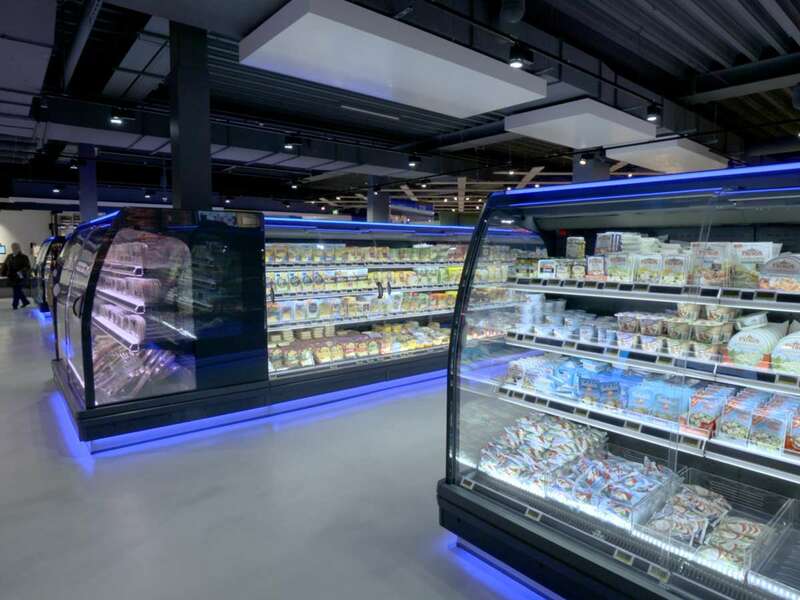 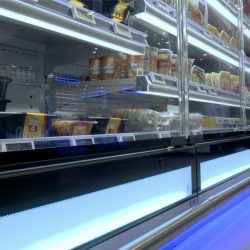 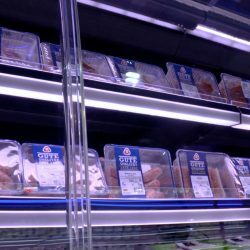 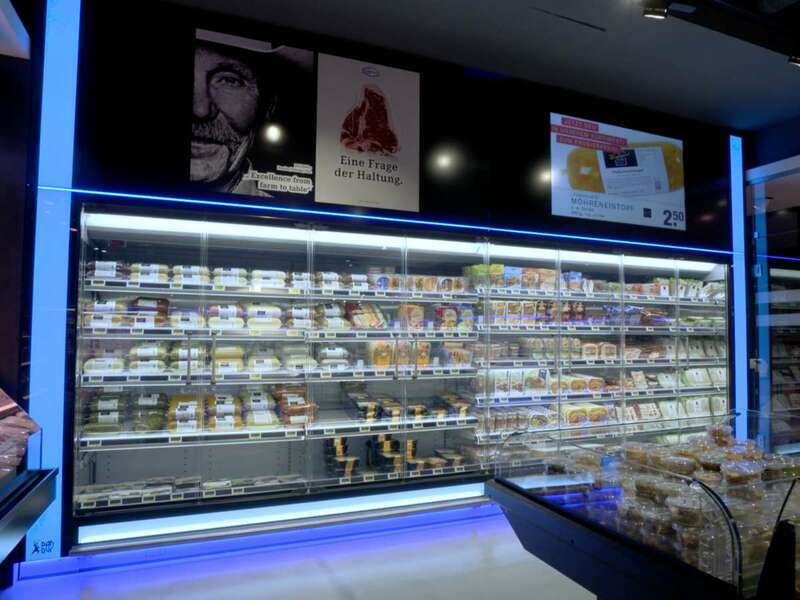 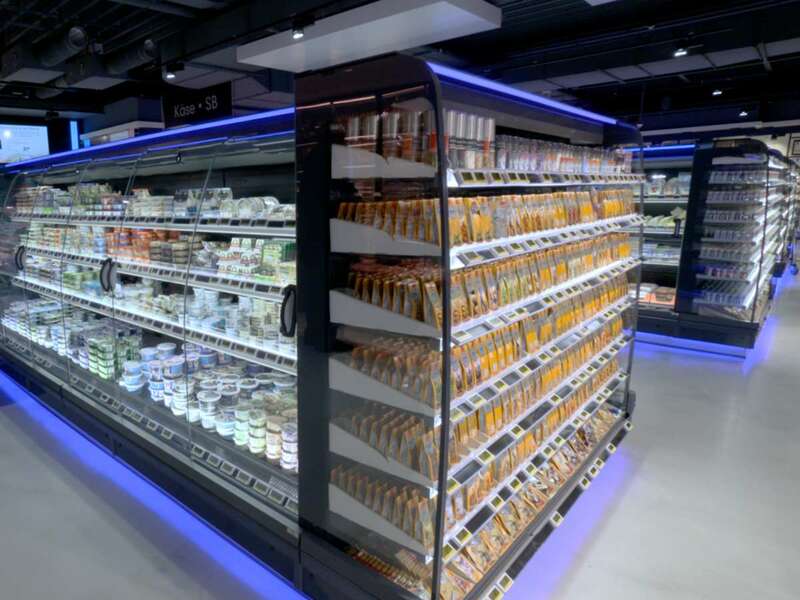 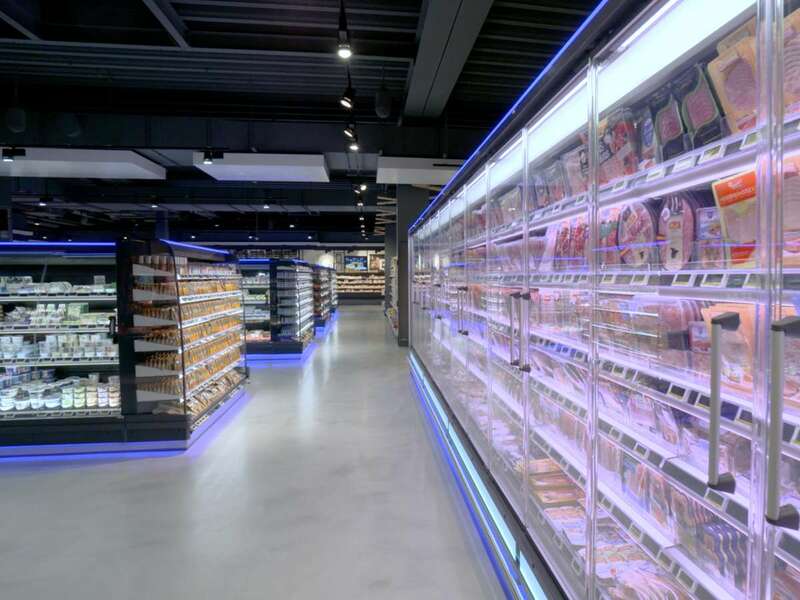 The semi-vertical refrigerated cabinets if the design line: With their curved glass covers made of insulating glass and single-glass variants, PURE cool SEMI T and SEMI S offer an almost complete all-round view of the merchandise for an intensive shopping experience.